Hi, my name is Ben. 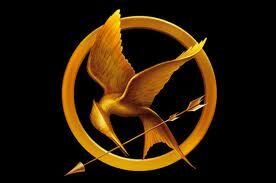 I am an enormously, epically, hugely, giantly, largely-big fan of THE HUNGER GAMES! 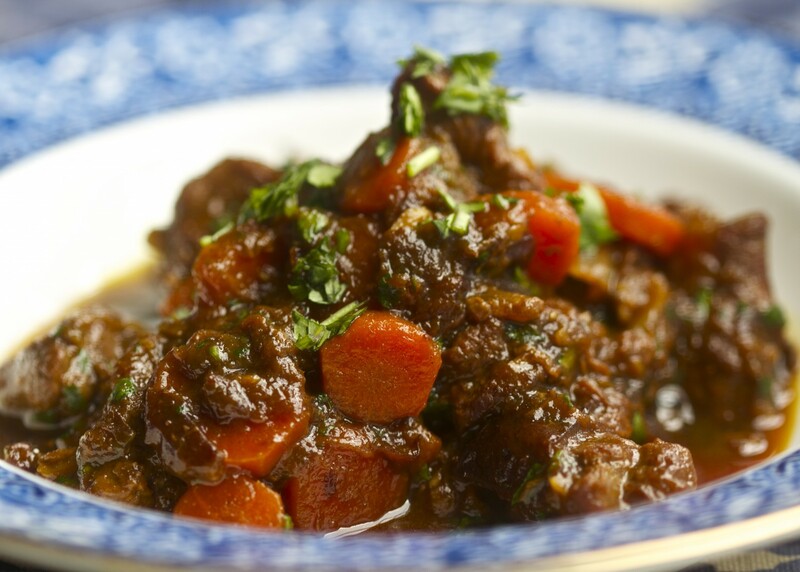 I am here to do a quick book review before Paleo Spirit (aka my mom) shares a Hunger Games related recipe: Hunger Games Lamb Stew with Dried Plums! The Hunger Games is set in North America near the capitol city Panem. Panem is surrounded by twelve districts which specialize in the production of one or more goods. Each year, the districts are forced to send one boy and one girl between the ages of 12 and 18 to participate in the Hunger Games. During The Hunger Games the tributes are forced to fight to the death on television while the nation watches. Katniss Everdeen is a 16 year old hunter. She helps feed her mother and younger sister, Prim, by hunting outside the borders of their home in District 12. Katniss’ younger sister was selected for the Hunger Games. But Katniss stepped up and took her place in the Games. Before the games begin, the tributes are well fed and treated like royalty. During this Pre-Hunger Games time Katniss finds that her favorite meal served is the lamb stew with dried plums and wild rice. 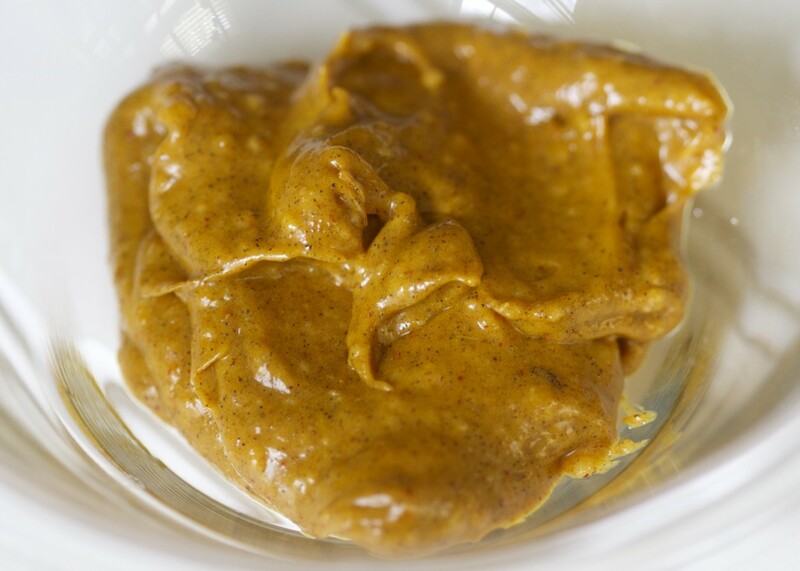 In a mixing bowl add 2 tablespoons of fat, turmeric, cumin, cayenne, cardamon and salt. Mix well until the mixture has turned into a paste. Add the lamb to the bowl and toss to coat well. Heat 1 tablespoon of fat in a large, heavy bottomed pan over medium-high heat. Add 1/3 of the lamb, and brown well. Remove to a plate, and repeat with remaining lamb. Add onions and carrots to the pan and cook for 5 minutes stirring to remove the browned bits of lamb from the bottom of the pan. Stir in the fresh garlic and ginger and continue cooking for another 5 minutes. Return the lamb to the pot and stir in the lemon zest and chicken stock. Bring to a boil, then reduce heat to low, cover, and simmer for 1 1/2 to 2 hours, stirring occasionally, until the lamb is tender. Add the quartered dried plums for the last 30 minutes of cooking. Stir in the chopped fresh cilantro. Adjust with salt and pepper to taste. Garnish with remaining cilantro. In the book The Hunger Games Lamb Stew with Dried Plums was served with wild rice. Since wild rice is a grass, not a grain, we figured it would be alright to create a side dish to go with the lamb stew. Stay tuned for that recipe for Wild Rice with Pistachios and Cilantro to be posted later this week! 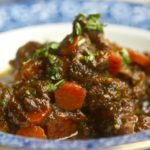 40 Responses to "Hunger Games Lamb Stew with Dried Plums"
My kids love this book, too! And lamb has always been a favorite of mine since I lived in Turkey as a young girl (my dad was a career Air Force officer). I’m definitely going to try this. This is so exciting! I’m a big fan of the books too, and have wanted to recreate Katniss’ favorite dish ever since I’ve read about it. Thanks for this fantastic one! Great. You’re welcome. I hope you like it. What a great idea! Can’t wait to try this recipe. Lea, I’d like to try this recipe with the wild rice tomorrow. Only, I’d like to use the slow cooker. How would you recommend I do that? I think it would work just fine in a slow cooker. 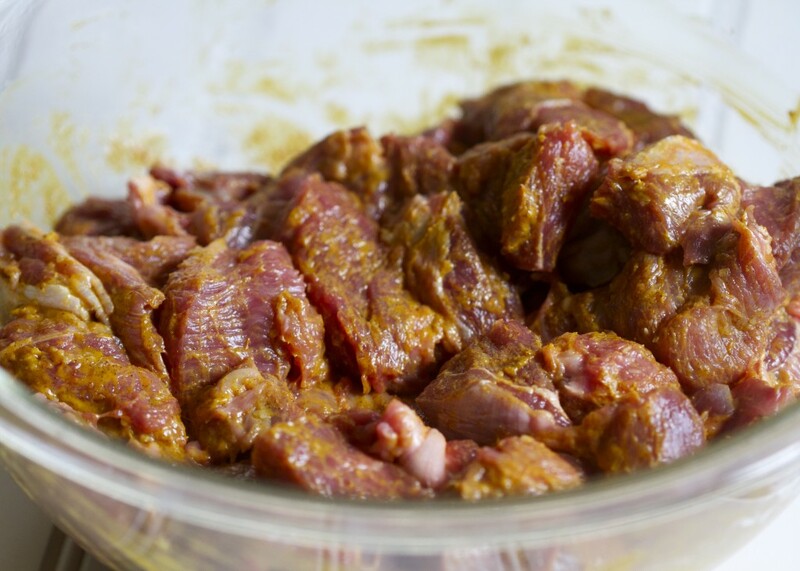 I would recommend that you sear the lamb in a pan with the spices and fat first – just to get some good color and browning flavor. Put the seared lamb into the slow cooker then deglaze the pan with some of the stock. 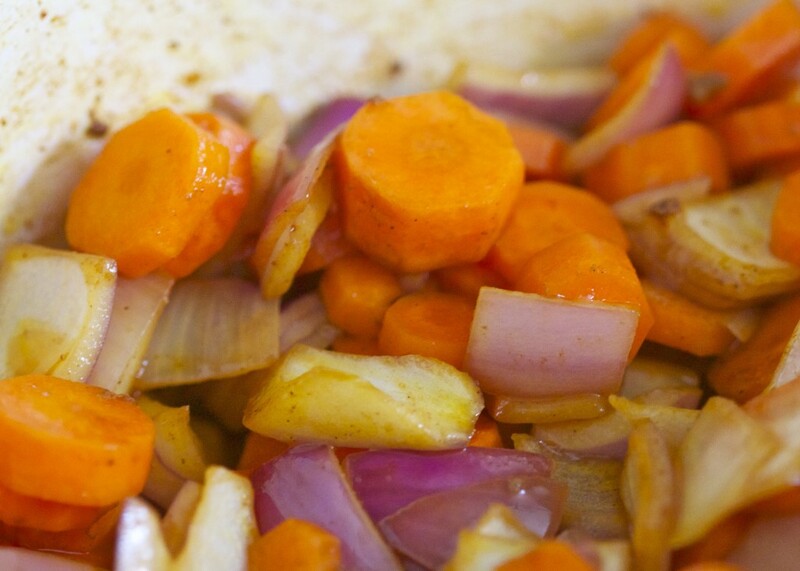 You could then just add that liquid (and browned bits), the remaining stock, carrots, onions, garlic, ginger and lemon zest to the slow-cooker and then cook on low for several hours. Just check to see if it needs salt/pepper at the end and then add the fresh cilantro right before serving. I’m not sure what to tell you to do with the dried plums. I made it once where I put them in at the beginning of cooking. The dish was fine but the plums completely dissipated into the dish. I thought it was better to have them remain with some body in the dish which is why I suggest adding them more toward the end. 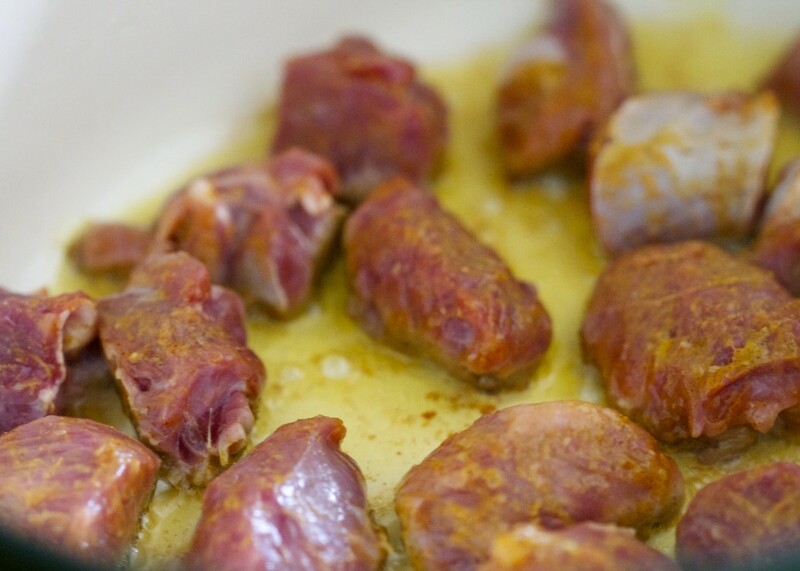 If you have the opportunity to put them into the slow cooking closer to the end of the process that would be good. If not, I thought it was still good putting them in at the beginning – just different. I hope that helps. Let me know how it goes! Thanks for the quick reply! I understand what you’re saying about both the browning and the disappearing prunes. I’ll let you know how it goes. Lea, I added the prunes an hour before we ate and consistency was perfect. The stew was delicious and I served it over your wild rice recipe. I even had chicken stock on hand that was made using your recipe. You can tell I’m a big fan of Paleo Spirit. I would say the only difference cooking this recipe in the crock pot was that the meat had become very soft. If that’s OK, this is a good way to cook it. I’ll try your way next time. Thanks for sharing!! Yes, they are appreicated! I brought the twice baked cauliflower to my birthday party tonight and it was a great hit, even with the kids and my hub who does not want to do Paleo with me. I’m so happy to have a dish I can contribute that everyone likes and that I can eat too. Thanks for that recipe as well, Lea. Holy Smokes! This was the best recipe I have had the privilege of cooking! It was simple and delicious doesn’t even begin to cover the taste. The layers of flavor are amazing! Hi Summer. 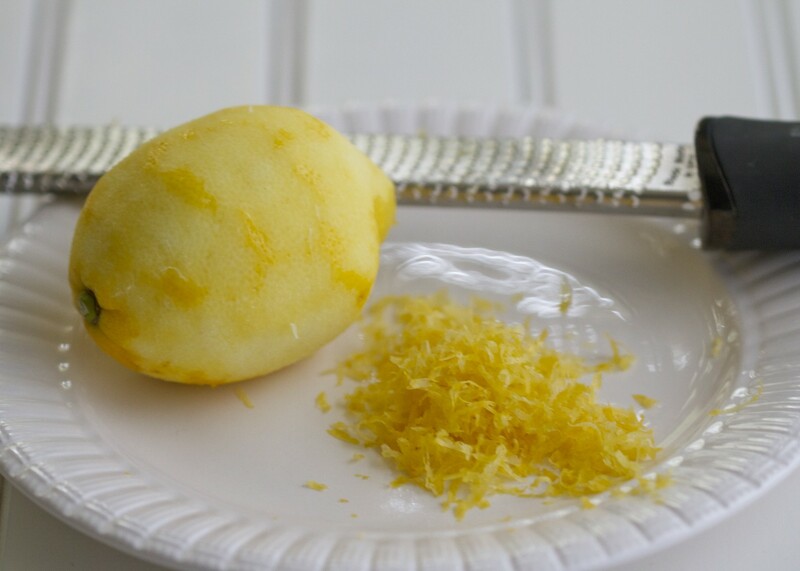 I think lemon zest and fresh ginger are practically magic in a recipe. Thanks for the feedback. I’m so happy you liked it! OMG!! I made this tonight in the pressure cooker. The layers of flavors were so delicious. I didn’t want to stop after my serving was long gone. I am excited that there are leftovers for lunch tomorrow. Thanks for the great recipe!! No amount of stars could show how awesomely, wonderfully, amazing this was! People ask that question, ‘if you could eat something everyday for the rest of your life, what would it be?’…I would very quickly choose this! OH MY GOODNESS!!! I just made this and it might be my new favorite food ever!!! 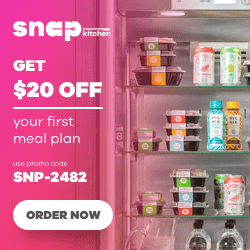 You are a culinary mastermind!!! I’m throwing a hunger games party in a couple weeks and I’m so excited to make this for everyone! I’ll be sure to tell them about you! Thank you so much for this. I just held a Hunger Games themed birthday party for my teenage daughter and her friends. We started of with a Remake center where we painted their faces (boys and girls) and did their hair and nails. Then we had this wonderful Lamb stew of yours – it was amazing! and served it with normal rice and bread from districts 4 (salty seaweed bread) and 11 (grains). It was sooooo good! After dinner we played a game of Werewolf where we changed the roles to fit the Hunger Games. In stead of werewolfs we had careers and instead of a storyteller we had Cesar Flickerman. When participants died in the game they had to eat a nightlock (blueberry). The night then came to a conclusion with all of us watching the movie and eating fabulous cakes in all the colors of the rainbow, and beautiful muffins made with a chocolate mockingjay-pin on top. This was an amazing day and wouldn’t have been the same without your wonderful lamb stew with dried plums! Thank you ever so much for a wonderful recipe and very clear directions! Oh my goodness, I totally want to go to a Hunger Games party now! That sounds like so much fun and you really went all out. Your daughter is fortunate to have a mom who will make the effort for such a fun, and certainly memorable, night. Thanks so much for sharing your party with us. Not sure where rice fits in the overall paleo-primal spectrum, though. I am not very concerned with the technical classification of foods. What concerns me more is how healthful they are relative to other food sources. Grains/grasses/legumes contain anti-nutrients that inhibit the absorption of nutrients. My view on rice is that it is one of the least problematic foods in that category. I do eat it on occasion. 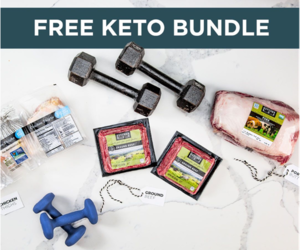 However, rice is not very nutrient dense compared to fruits, veggies, meat, etc… The amount of starchy carbohydrates required in the diet is largely based on activity level. Even then, if I am a high-level athlete, or even a growing, active child I would gain more nutrients from eating starchy carbs in the form of sweet potato or something similar. With the advent of fall, I am craving luxurious stews. But since I have to avoid nightshades, I miss out on a lot of the best recipes that contain tomatoes. This was perfect! I just omitted the cayenne. It’s got such a delicious flavor. I served it with some roasted butternut squash. Looking forward to leftovers. I just made this a couple of nights ago and it came out amazing! I used manischewitz consomme as my stock which I highly recommend. I also threw a tbsp in of organic tomato paste, and a sweet potato diced up. I wasn’t sure how to thicken the sauce since it came out kind of watery, even after cooking for over 2 hours on simmer (covered in a dutch oven). I went out to buy arrowroot flour but they were out of stock so I had to go with a tsp of (non-paleo) xanthan gum. Any other ideas for thickeners? Aside from that this recipe was absolutely phenomenal. The depth and variety of flavors was outstanding. You should consider putting up paleo friendly versions of the breads / biscuits from this blog that showcases many hunger games recipes. 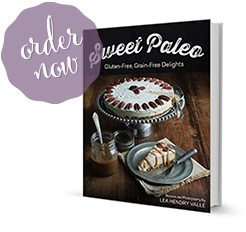 I would love to have paleo friendly recipes for the Catching Fire Party I’m having in November before the premiere. You could thicken it by blending half the liquid and stewed veggies in a food processor. That’s how I make gravy: drippings, water/broth, roasted veggies in the food processor. Put some prunes in at the start. They dissolve and thicken the stew quite nicely. I just have to say how much I LOVE this recipie. I have made it about 5 times now. I live in Boston and after a major snowstorm this past year it was SUCH a pleasure to have this in the house after coming in from the cold. It is the first thing I make on the first day it feels like fall. Everyone I’ve cooked it for has loved it. Wow, Colleen. I am so glad you like the recipe and I really appreciate you taking the time to let me know. Thanks! I want to make this dish but I don’t have all the spices on hand. Would garam masala work in this dish? I made this, along with the companion recipe, and loved it! I’m a Hunger Games nut and I’ve thought it sounded amazing throughout the book series, and I’m very appreciative you brought it to life and are willing to share it with people. My only question would be, what makes this taste so incredibly rich? Thanks again, it’s divine and I intend to make it again this weekend! I’m so glad you liked it, Pam. I think the lamb is just rich on its own – especially with the fat used to sear it. But the plums also sort of melt into the dish and that definitely adds a richness. Perfect timing. I was looking for some type of stew and happened upon your recipe. Given that my daughter is a big Hunger Games fan, that my son has been hinting that he wants lamb, and that I just bought some Hunger Games edition beer, this gets made tonight. I’ll let you know the results. Perfect timing! Yes, please let us know how it goes. Just made it! In a Pressure-cooker! So wonderful! Thank you! 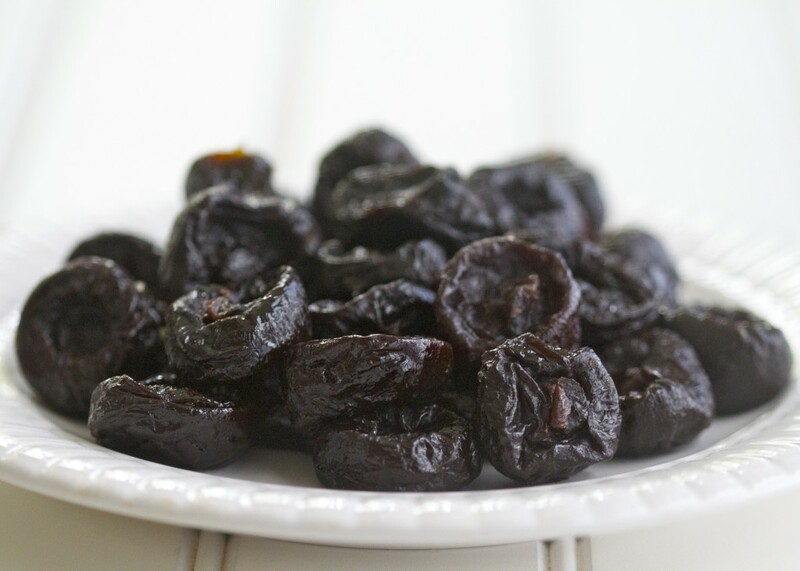 The recipe is for “dried plums” which are also known as “prunes”. 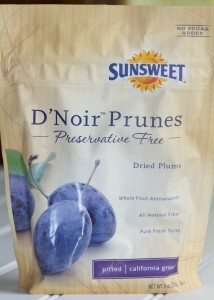 If you look closely at the bag of fruit it actually says “dried plums” underneath the larger print for Prunes. I think the prune industry has been trying to rebrand themselves by calling prunes by the term “dried plums” more often but it can be confusing if you aren’t familiar with it. I hope that helps.